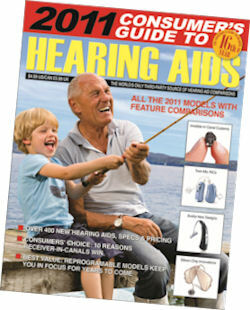 All you need to know about HEARING AIDS in the world's best Consumers Guide - and it's FREE! Comparisons of 450 hearing aids. You must read this new FREE 32 page booklet if you, or someone close to you, is thinking about getting a hearing aid. For your FREE consumers guide to hearing aids please complete the form below.